These Dùsal duvets contain a blend of 85% small fine duck feathers and 15% fluffy white high loft down. The outer casings are high quality 233 thread count 100% cotton down proof cambric with a piped edge. Our cassette box construction with baffle walls means that the filling will stay in place and there are no cold spots. 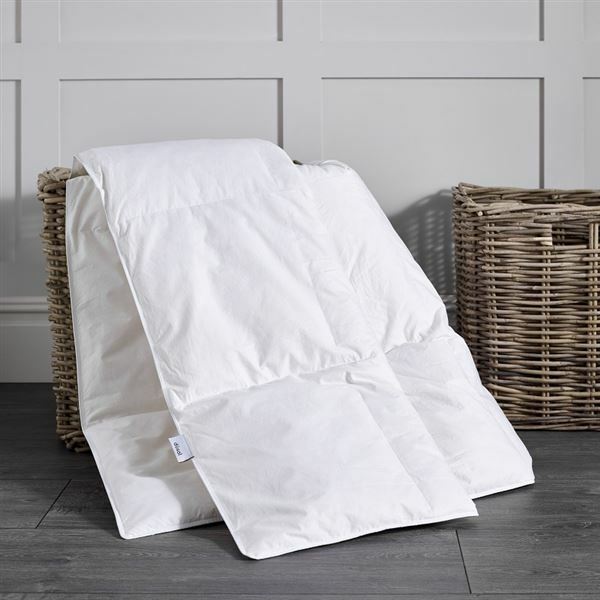 I am delighted with this Duvet, warm and light and very comfortable to sleep under. All at a reasonable price. Thankyou Out of Edrn.